We are landscape architects and urban designers. We are dedicated to planning and designing meaningful public places. Merritt Chase is a landscape architecture and urban design firm founded by designers Chris Merritt and Nina Chase. We work locally and have been recognized nationally for our public space designs, placemaking initiatives, and research. We believe in the power and value of great urban outdoor places. Streets, plazas, gardens, parks, and waterfronts are the communal spaces that make cities lively and diverse, and we are dedicated to positioning these urban landscapes as the foundational building blocks of cities. We work at multiple scales and phases of projects, from conceptual master plans to constructed spaces, from temporary installations to permanent landscapes. We seek projects that layer research, culture, ecologies, and economies to create unexpected public spaces in cities. We work with clients and communities through a clear design process to realize innovative and thoughtful public spaces. While we have expertise in landscape architecture and urban design, we recognize that residents know their own environments best. Our process-based approach provides stakeholders with a framework for making decisions and results in sustainable public spaces that are unique to their context and reflect the residents that inhabit them. We invite you to connect with us to learn more. Merritt Chase is a woman-owned business and is Women's Business Enterprise (WBE) certified. Chris is a landscape architect and founding principal of Merritt Chase. His work focuses on the design of public space in complex cultural, ecological, and infrastructural contexts. He has a particular interest in the craft, form, and material of landscapes that express intentionality, integrity, and dignity that are unique to a place. His previous project experiences with Sasaki range from urban design master plans to detailed site designs. His clients include public agencies, communities, institutions, and private developers. Chris has received recognition of his work with awards from the Urban Land Institute, the American Society of Landscape Architects, the American Institute of Architects, and the Harvard University Graduate School of Design. Chris is a graduate of the Harvard University Graduate School of Design and Purdue University. 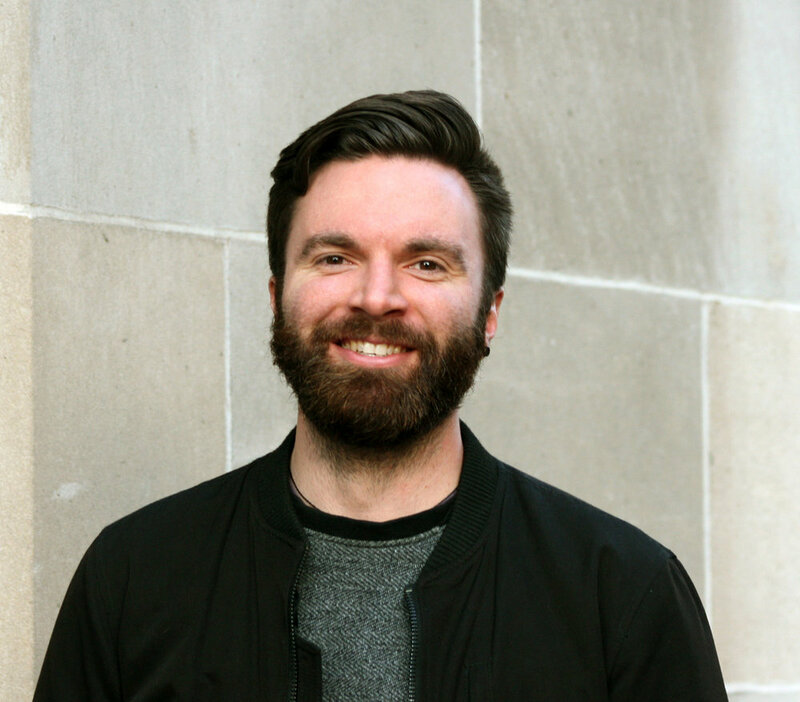 He currently serves on the Curatorial Advisory Committee for Exhibit Columbus. Nina is a founding principal of Merritt Chase. Nina works as a landscape architect and urban designer, positioning outdoor public spaces as foundational building blocks for cities. Nina is a registered landscape architect and formerly the Senior Project Manager at Riverlife, a non-profit planning organization in Pittsburgh, PA, and an Associate at Sasaki in Boston, MA. A graduate of Harvard's Graduate School of Design and West Virginia University, Nina was named "Landscape Architect to Watch" by Green Building & Design Magazine and has received national recognition from the American Society of Landscape Architects, the Landscape Architecture Foundation, and the American Institute of Architects. Nina's professional experience is additionally informed by a commitment to the design and planning community through teaching, writing and volunteering. Nina has lectured at MIT and RISD, and she has served as a design critic at Harvard, Carnegie Mellon, and the University of Toronto. Nina is currently an adjunct faculty member at Carnegie Mellon's School of Architecture and an emeritus board member of the Landscape Architecture Foundation. Nich is a landscape and planting designer with Merritt Chase. With almost a decade of professional landscape architecture experience working with firms including OLIN, Sasaki, and David Rubin Land Collective, Nich has worked on projects in the United States, Mexico, Ecuador, the United Kingdom, and China. His work encompasses a wide range of typologies including residential, campus, urban, governmental, as well as various design competitions. His planting designs incorporate the form, color, and texture of native and adapted midwest plant species. His designs focus on the relationships between planting species as the seasons progress, while also creating habitat and food sources for native fauna. His passion for design is observable in his utilization of bold gestures of simple planting palettes. Nich studied landscape architecture and horticulture at Purdue University, during which he was awarded a Student Honor Award by the American Society of Landscape Architects' Indiana Chapter and the Donald J. Molnar Scholarship Award. Alexandra is a landscape designer with Merritt Chase. She believes that design has an exciting responsibility to recognize the power embedded in daily landscapes, and to celebrate the ways in which local places can provide agency and joy. Trained in ballet and contemporary dance since she was three years old, Alexandra works to infuse a subtle, yet powerful presence of art in our surroundings, and continues to draw from her dance background in her work. Prior to joining Merritt Chase, Alexandra worked at Munden Fry Landscape Associates, Surfacedesign, and Gensler. She graduated from the Harvard Graduate School of Design with a Masters in Landscape Architecture and received her Bachelor of Design in Architecture from Washington University in St. Louis. She has received multiple honors including the GSD Thesis Award in Landscape Architecture, the Landscape Architecture Foundation’s University Olmsted Scholar nomination, and the 2017 GSD Charles Eliot Traveling Fellowship.